Capture those candid moments in our high quality and spacious photo booths and Instagram printing stations. At Sharebooth, we let you personalise the photo booth to suit your event. From the colour of the curtains, backdrops, floor rugs and accessories, we are here to make it yours. 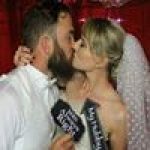 Rather than using cheap equipment, our open air photo booths for hire are touch screen operated and use professional Canon DSLR cameras to give you quality pictures. Sharebooth also provide you with an easy to use online gallery link of your photos post your event so you can share all the poses and laughs with friends and family. There are a lot of things that people do to make their special events all the more special. One of the things you can do to make your event more special is to provide a fun and interactive way to capture moments of the night with your guests. We have a wide range of photo booth options available, including beauty mirror photo booths, the social-media savvy GIF booths, and much more! 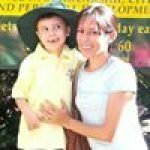 Perfect for school formals, weddings, corporate events, birthday parties and more, we are sure that with one of our photo booths for hire in Sydney, your event will be talked about for many months to come. Let us know what exactly your event is and we will give you a quote for it. With quality cameras fitted into all of our photo booths as well as great lighting, when you hire one of our photo booths, we are sure you are going to look fabulous in all of your happy snaps. However, more than just helping you to look good, our open air photo booths for hire can help our customers make their venues look chic, never cheap. Get in touch to learn more about our backdrops and props. Would you like to capture those wonderful and hilariously entertaining moments of a party on more than just an IPhone? 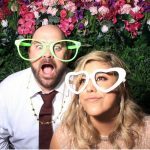 Hiring our affordable open air photo booths adds a great touch of entertainment to any social event, and our Instagram printing stations are a cool and modern way to have your party photos taken and printed. Get in touch with us or call 02 9676 7521 to find out more about which one of our cheap photo booth rental options or Instagram printing stations will be great for your Sydney event. Photo Booth are no longer a trend at Weddings. They assist making your night AMAZING! We capture the candid funny photos you may miss! We cater for all our Corporate Clients needs. From Product launches, social media exposure and simply just having fun. Talk to one of your specialists today about your event. No matter where you party is... At a venue, Hall or home, Sharebooth have the booth for you! Contact us and speak to one of our Customer Representatives today! Sharebooth regularly attends fundraising events all over Sydney. We are proud supporters of some of Australia’s most heartwarming, worthwhile & recognised charities and assisted in raising thousands of dollars towards some amazing causes. If you are seeking fundraising support for your event, please contact us to talk about your requirements. Options may range from full or part sponsorship depending on your event needs. Are you planning this years Formal... Its your YEAR to SHINE!. Contact us today and get the glam booth that will make your event sparkle. From the all-important “Mood” music to the main event songs when the Bride and Groom walk in, cutting the cake and first dance to the dance floor music, you won`t be disappointed. Sharebooth were absolutely fantastic on our wedding day. They were set up on time and professional in every aspect. 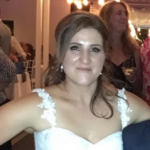 Tommy was really friendly and accommodating to all our guests and Natalie was fantastic in helping us throughout the preparation for the day. We would highly recommend using sharebooth if you want a great atmosphere at your wedding. Such an amazing n wonderful business concept.​Awsome team! !​Highlly recommend it for any occasion and great​memories.​Keep up the amazing work!! This photo booth service was outstanding!!! The staff were friendly, the booth looked amazing & with such a wide variety of props to choose from, it made the experience unforgettable!! I would definitely recommend this photo booth for any occasion, thank you for the memories! Super easy booking processing, very professional setup and very responsive on all communications. We opted for the green wall which was nice touch. The best part is they send all the individual high res photos with no watermarks. The attendant on the night was lovely also. Thanks Sharebooth! WANT TO GET INFO NOW FOR YOUR NEXT EVENT? Please provide us your details and our booth crew will be with you soon with our pricing and package info.